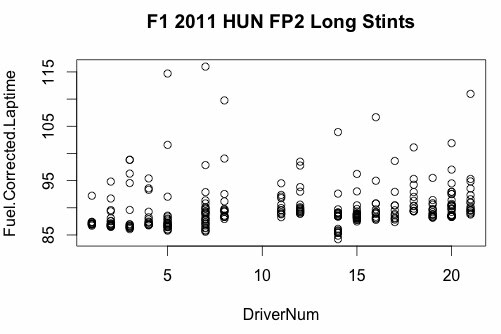 If my fuel correction calculations aren't way off, Sutil seemed to have a good turn of pace on stints of 11 or more laps in length? Hmmm... is there anything interesting in that sort of view? Or is it misleading, and purely an artefact of whatever tests were being run?